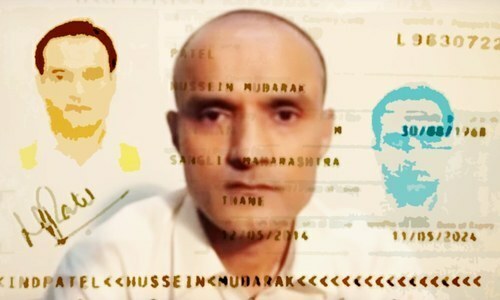 Indian national Kulbhushan Sudhir Jadhav was born in the city of Sangli in the Indian state of Maharashtra on April 15, 1969, according to a medical report released by the Foreign Office. However, a fake passport for Jadhav under the pseudonym Hossein Mubarak Patel, showed he was born on Aug 30, 1968. The cover name, he explained in a confessional video released by Inter-Services Public Relations last year, was taken for "intelligence gathering for Indian agencies". A resident of Mumbai's suburban Powai neighbourhood, Jadhav belongs to a family of police officers. In his statement, the Indian national said he is currently a serving officer in the Indian Navy ─ a claim India has denied. He added that he joined the National Defence Academy in 1987, and then the Indian Navy in 1991, where he served until December 2001. After the parliament attack, he said he began to 'contribute his services' towards information and intelligence gathering in India. "I am still a serving officer in the Indian Navy and will be due for retirement by 2022 as a commissioned officer in the Indian Navy," the spy confessed. India says he is a former Indian Navy officer. Members of his Mumbai-based family told The Indian Express last year that Jadhav had become a businessman after taking premature retirement from the Navy, and travelled often in connection with his business. A report in DNA India claimed Jadhav was "engaged in a legitimate business of operating ferries from the Iranian port town of Bandar Abbas". Jadhav said he had commenced intelligence operations in 2003, and established a business in Chahbahar, Iran, where he was able to go undetected and visit Karachi in 2003 and 2004. He was picked up by Indian spy agency Research and Analysis Wing at the end of 2013, and has been directing various subversive activities in Karachi and Balochistan. His job, he said, was to hold meetings with Baloch insurgents and collaborate with them to carry out activities "of a criminal nature, leading to the killing or maiming of Pakistani citizens." 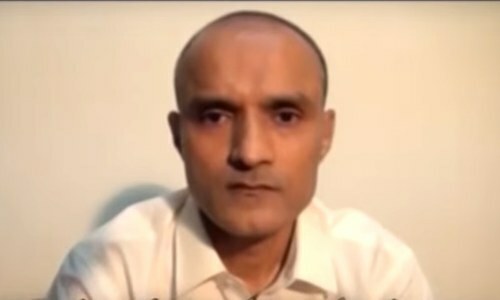 Jadhav, in pursuit of targets set by his RAW handlers, was arrested by Pakistani authorities on March 3, 2016, when he attempted to cross over into the country from the Saravan border in Iran. India, however, alleges that Jadhav was abducted by Pakistan from Iran, according to IndiaToday. Indian intelligence officials suspected that Jadhav's phone was under surveillance by the Pakistani intelligence, and that his habits and mannerisms, including phone calls in Marathi to his family, gave away his identity. Since Jadhav's arrest, India has been denied consular access to him, although he was provided with a defending officer as per legal provisions during his Field General Court Martial trial. He was sentenced to death by the FGCM on April 10, 2017. Kulbhushan Jadhav is a poor pawn caught in the midst of India Pakistan hostility. Please write which activities and events were planned or executed by Kulbhushan. Few months ago NSA said there are no evidences against Kulbhushan and with in months there was trial and punishment too ? He was involved in various terrorist activities acting as RAW agent and operating in Pakistan? @Faisal that's what is being asked by Indians to give him access. Why up till now Pakistan has not come up with any proofs. It's sad that some one innocent is being punished only because of his nationality. @Pure ind His confession video evidence is openly available for you and all my indian counter parts. By the way, an Indian navy officer with fake identify in Baluchistan, what was he doing all around here? @ Faisal He accidentally crossed over to Pakistan from Iran as he was working in middle east.His family in Mumbai has confessed to it.Read the above article. @Lootra: Let India provide authentic proof acceptable by the Indian Supreme Court to start with. @KASHMIRI PANDIT right this poor innocent soul, with a fake identity under the name of Mubarak Hussain was busy in subversive activities, lost his his way into Pakistan's Baluchistan province. Read your papers that was published by a daily in Ahmedabad and still on their website revealing his true identity and job description. So stop this charade of claiming his innocence, he's as guilty as sin with the blood of thousands of innocent Pakistanis on his hands. In my opinion, he was suppose to be given full-chance to defend his version with his choice of lawyer in an open court. @Pure ind Have you guys ever accepted any proofs before or have you ever respected any treaty or MoU between the countries? His video confession is available openly. @cyber Bhai be more specific. @KASHMIRI PANDIT Indian Navy and RAW agent crosses border "accidentally"? Hah!!! @Pure ind is he innocent will u tell me the proof? Having read and listened to all the innocent and innocence mantra from friends from across the border about Kulbhushan Jhadav, it all points to a grave semantical error in all the dictionaries printed, used and referred to in India at all levels of schooling and education systems etc. Indians have been taught the meaning of the word innocent as one who maims, damages, hurts, kills, subverts, terrorises, murders ruthlessly men, women and children and or conducts any other destructive activity as ordered by master. Going by this meaning / definition, who can ever deny that Kulbhushan Yadav is innocent. Mrs.Sushma swaraj-“Kulbhushan Jadhav is not just the son of his parents but he is the son of entire India"
@Faisal # these are all mere statements which doesn't hold water..
@Angry pitbull Why he is having REAL Indian passport with fake name (Hussain Mubarak), is it common in India to give fake ID to businessman ??? Let us accept for the sake of argument what India says, though it is not true, that he was a former navy officer and working as a businessman in Iran and accidentally crossed into Pakistan. THEN, I have some simple questions from all those naives who accept him as not guilty. a) Why he was carrying a second Passport? b) And why on earth he chose to have a Muslim name? c) What procedure or SOP India followed against her claim of his abduction from Iran, did she contacted Iran and what are tge proves? d) Pakistan handed two soldiers back to India when they happened to cross into AJK from IOK, then what is so fishy about him? e) Taftan is the main working border with Iran whereas his mistakenly crossing place was the place where the extremists and miscreants were active. Don't fool yourselves !!!!!!!! @Rizwan: What a ridiculous argument. @Faisal I can get better than this confession from you by putting you under great duress. None of the Indians have answered yet that why was he carrying an Indian passport with a fake Muslim name. If you can answer this honestly then we wont need further arguments. A spy never carries any ID or any information about himself. @Rizwan you will be pubished by God for writing some damaging things without knowing any thing. This is the dirty game of spying to sabotage Pakistan because India does not like Pakistan supporting genuine case of People of Kashmir. Most of the Indian naval officer opts voluntary retirement after serving 20 years and opt for private cargo job. They get good pension as well as pvt company pay very hefty salary. Mr Jadav only issue is he was over smart and worked with iran based business farm. There are thousand of options he would have opted. But as people say "jis ki taqdeer mein jo likha hai". He has no connection with RAW or any indian intelligence organization. Yes every single word mentioned in " Who is Kulbhushan Jadhav" is absolutely true! The Pakistani government and the indo pak relations have had no influence whatsoever on the content. Any one who is responsible for killing innocent people should be punished! No more bloodshed please! Let there be genuine exchange of all POWs and spies in both countries so that these men can live with their families. Pakistani army took a good step by releasing Indian soldier who crossed border by mistake last year. I suggested then that India should reciprocate. They can show a great heart by releasing Kulbhushan Yadav too! I can guarantee the goodwill of Pakistan in India will be highest ever and it will bring genuine peace to the region! @Minhaj explain what it means and who he is first. Now it is useless to talk as the case is in ICJ. He entered Pakistan through Baluchistan is the biggest plus point for Pakistan. But his two identity cards and his confession video are the biggest minus points as everyone knows these things are of no value in international courts. Let's wait and see what happens. @Minhaj :"None of the Indians have answered yet that why was he carrying an Indian passport with a fake Muslim name. If you can answer this honestly then we wont need further arguments." Neither you nor anyone of us knows the real answer to that question. Your's would be a guess and so would be mine, or anyone else. Despite that, there are various other possibilities. One possibility is that one or both the passports were planted on him. The interesting question is why would a spy carry his country's passport(s) with him. I would imagine only a dumb spy would do that. For that matter why would a spy carry a real id that identifies him? @Matiya :"A spy never carries any ID or any information about himself." 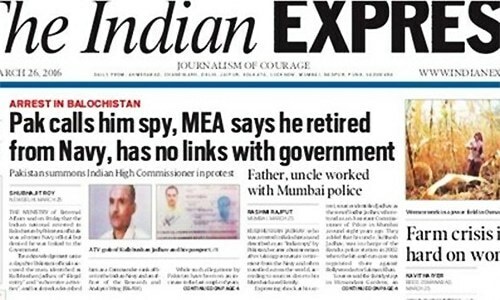 ... unless the spy is so very dumb... which I don't think Kulbhushan is likely to be... Also, no spy (unless very dumb) would carry an identity that identifies him/her with his country of citizenship. Espionage is an open secret in today's world. Every country sends spies to the other country to gather intelligence information. Most of the times, the host country officials know about these spies but stay quiet, until they engage in subversive activities. @cyber Bhai Was he on a picnic with his family? Was he on a picnic with his family? those videos are doctored ones and the confession given under torture. if you have all the proof, why did you lose the case in icj? why not give him consular access if you have nothing to hide? The comments on the article shows how much Indians are biased and blinded by their media. All of them can easily accept their media's and government's stance that KY was not a spy but a poor citizen. However they have difficulty acknowledging that he is a spy just even when all the proofs are there. All Indians pretend to be rational, and most of them are, but when it comes to Pakistan, everyone just forget rational thoughts and their emotions get the better of them. Their media holds complete command over their minds, something which is not the case in Pakistan as here many people question the narrative put forward by Govt or Media if it is untrue.